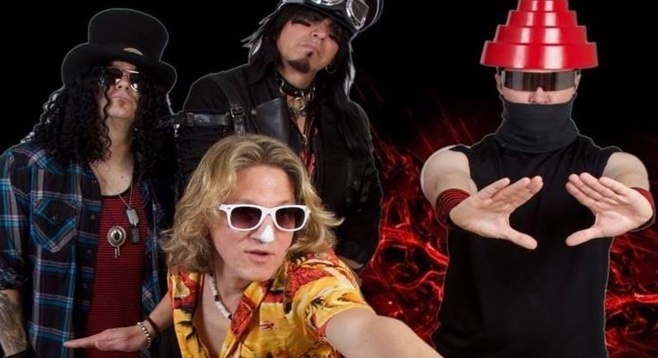 Enter to win a pair of tickets to see Fast Times - 80s Tribute with Paradise City - Guns N' Roses tribute at House of Blues San Diego on Friday, April 26. Doors open at 7PM. Must be 18+ to attend and to enter contest. For more information on Fast Times at House of Blues click here. Deadline for submission: Tuesday, April 23 at 1PM. Limit one entry per person or you will be disqualified. Reader employees and their families are not eligible. Must be 18+ to attend and to enter contest. Winner will win a pair of tickets to see Fast Times at House of Blues. Winner will be notified via email.